The payment process starts after you have decided to book a certain yacht. In order to confirm your booking, a down payment amounting to 50% of the total charter fee should be settled upon the reservation. The rest of the charter fee (50%) should be paid at least 30 days prior to boat embarkation. For bookings within 60 days of departure, the total charter fee should be paid. The preferred payment method is directly through bank transfer. It is very quick and completely safe. If you decide for a credit card payment, please inform us, and we will send you a secure payment link, where you will be able to write down the number of your ‘Booking confirmation agreement’ and the amount you need to pay. You will be forwarded to a secure payment gateway where you will execute the payment. Please note that because of the bank fees, you will need to add additional 3% of the charter fee. In case you decide to make the payment by credit card, please note all payments will be effected in Croatian currency because our bank is located in Croatia. The amount your credit card account will be charged for is obtained through the conversion of the price in Euro into Croatian Kuna according to the current exchange rate of the Croatian National Bank. When charging your credit card, the same amount is converted into your local currency according to the exchange rate of credit card associations. As a result of this conversion there is a possibility of a slight difference from the original price agreed. Additional costs to be paid in the marina upon your arrival may vary depending on the extra services that you have taken (skipper, hostess, cook, spinnaker, outboard engine, towels, WiFi etc.). One of the additional costs you will definitely have to pay is the tourist tax, amounting to € 1,00 per person per day. You will also have to leave a security deposit for the boat, in amount depending on each boat in particular. The deposit can be given in cash or as a credit card slip. Other additional costs include mooring fees in your cruise destinations. Please note that all the services in Croatia are paid in Kunas and in Greece and Italy in Euros. In restaurants, shops and supermarkets you can use credit cards as well, but not everywhere on the islands. However, there are ATM machines in some places. 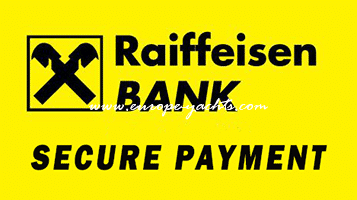 Our company encourages payment with bank transfer as your payment is recorded and stored within the bank (outgoing bank – your bank and incoming, our bank, Raiffeisen Bank; www.rba.hr) databases as a proof that you had made a payment. To make sure that your payments are safe and that you will get the boat that you paid for, we guarantee you with 100% refundable amount (paid until the reclamation). Do you need a Crew or not?